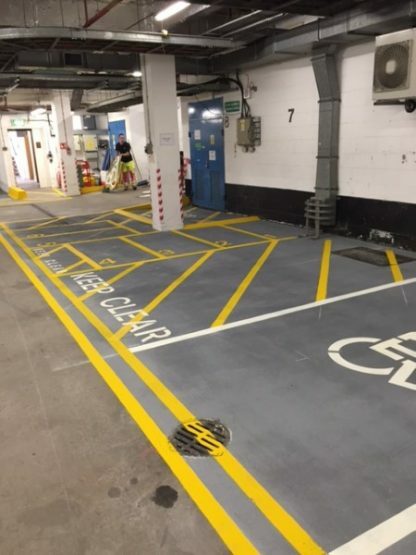 Surface Area Painted using Epoxy Paint Material, also used to mark Bays, Lettering, Disabled Symbol, Hatching and Motor Cycle Bays. 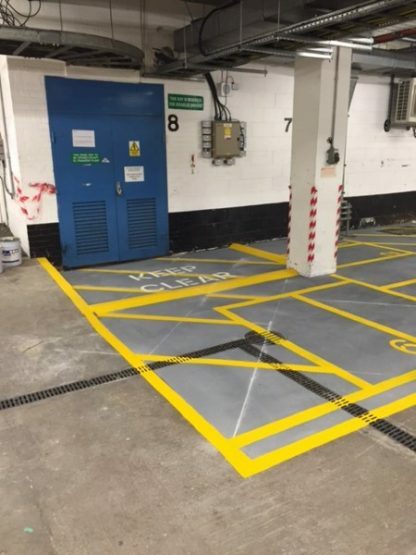 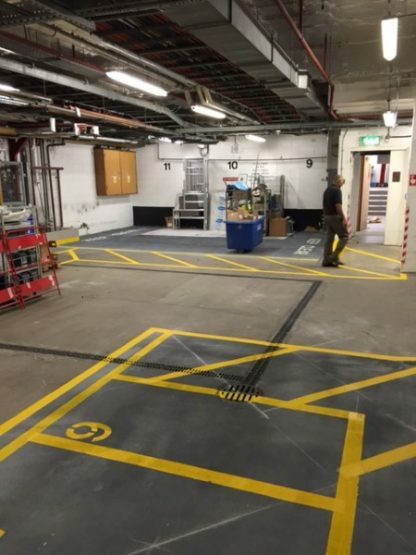 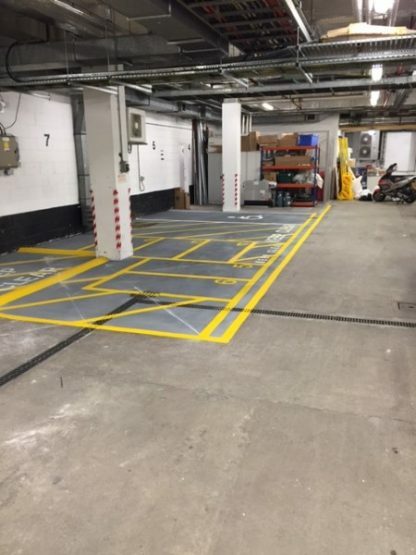 Client specification was to redesign an area of the basement car park without damaging the surface and would be cost effective. 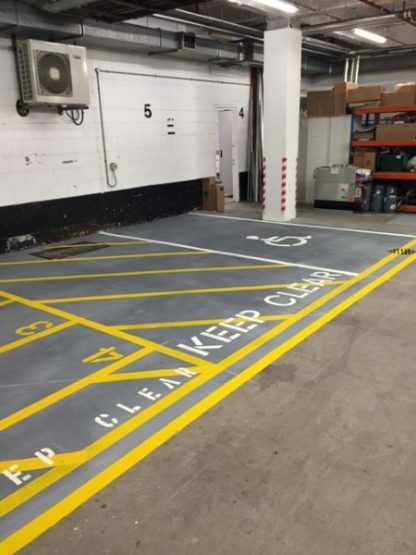 We covered the existing bay markings using a grey epoxy paint material and then applied new markings. 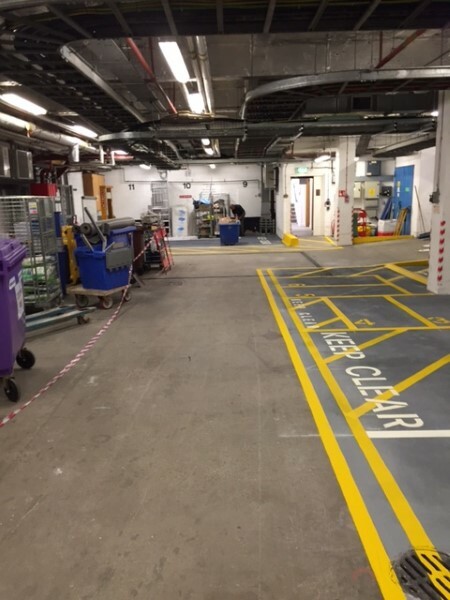 Work was executed out of normal working hours to minimise disruption. 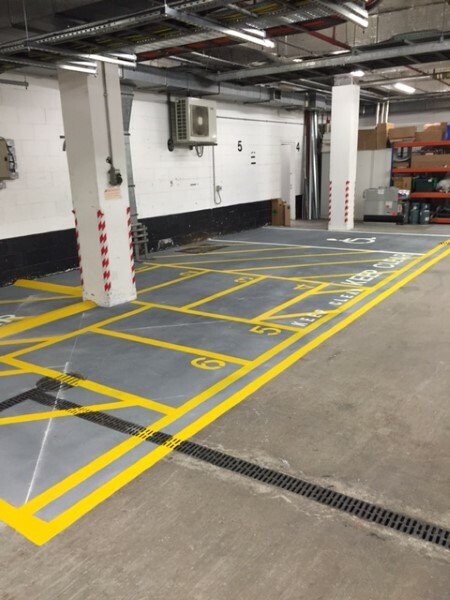 If you want to redesign an area or have a surface area painted to create a fresh clean appearance give us a call.